Scana Industrier has through its Norway-based subsidiary Scana Propulsion signed contracts with a value around 50 million NOK in second half 2013. 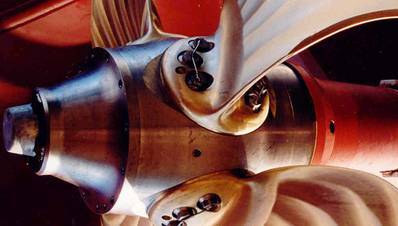 The orders are related to delivery of propulsion systems for offshore vessels within China. The contracts are signed with companies within the CNOOC group and includes delivery of gear, propellers, remote controlling and tunnel thrusters for Anchor Handling Supply Vessels and Oil Recovery Vessels. Delivery will be during second quarter 2014. "China has big ambitions in the offshore segment in the coming years, and it is strategically important for Scana Propulsion to win contracts with the CNOOC Group. The delivery includes tunnel thrusters, which confirms Scana's commitment to the extended series of tunnel thrusters. Scana Propulsion already has a long list of references consisting of leading offshore shipping worldwide, and we are very pleased to add further deliveries to CNOOC," says Hallvard Pettersen, Managing Director of Scana Volda AS.